Macarons ! My favourite flavour ,pistachio macaron with lemon diplomat filling. YUM ! Lemon Diplomat is basically lemon curd combined with whipped cream. 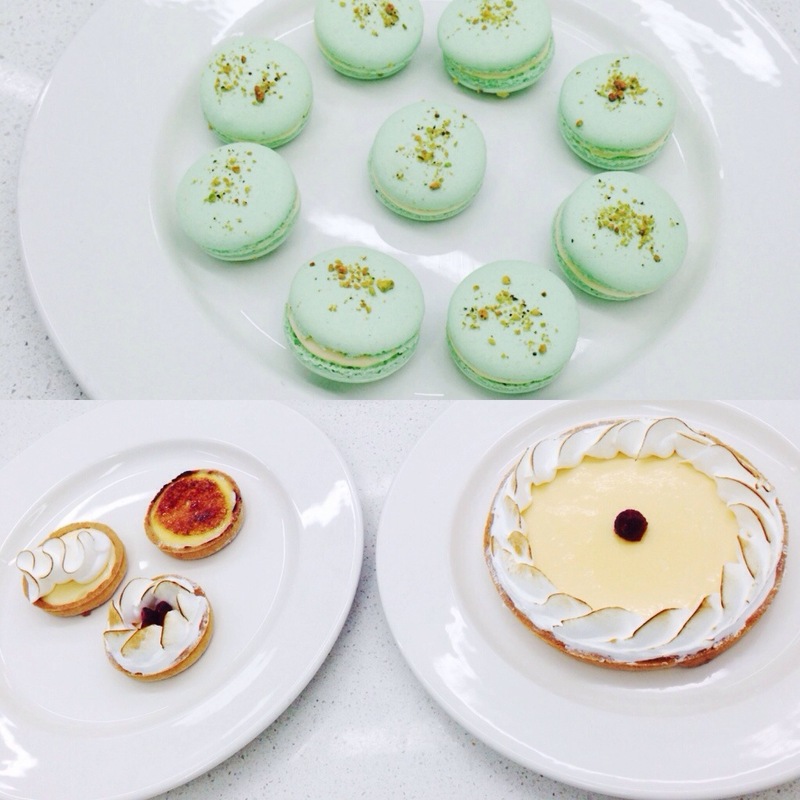 Tarte au Citron // Lemon Tart // Lemon meringue pie (small). These are my brother’s favourite dessert. It is made of pate brisee and lemon curd as the filling. I decorate the small tarts by piping Italian meringue on top of the tarts and finish with a blow torch. Delicious@ especially i like that 2nd one# how it was made…. nice present!